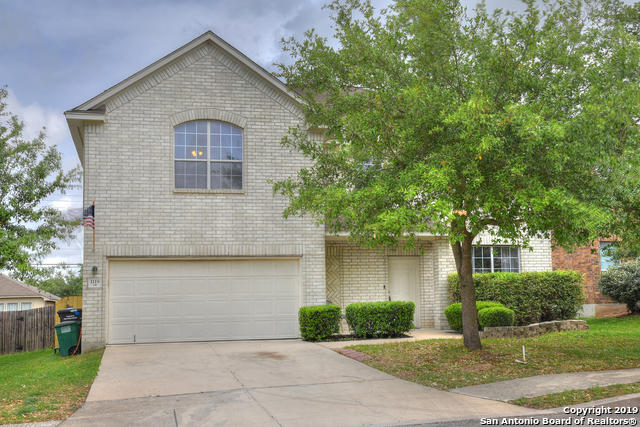 Sold a Single Family home in 2018 for approximately $150K in General Krueger, San Antonio, TX. Bought a Single Family home in 2016 in San Antonio, TX. Jane was so amazing to work with. She helped us get into our dream home, and even handled some issues that we had with the builder! I highly recommend her!!!! Listed, but didn't sell my Single Family home in 2018 in San Antonio, TX. July 20, 2018 - Tyler Wiseman - Mrs Jane is a very sweet lady she helped us through the whole house shopping and buying process like it were her looking for her own. She was always on top of everything and quick to answer and questions we have. She made our experience personal and took the time to make sure our first home purchase was a smooth ride. July 20, 2018 - Devan Bonahoom - Jane Bash is a top notch realtor! We have used her expertise for multiple transactions due to her fabulous service & attention to detail! We adore her & are grateful to have Jane by our side for our major investments/homes! Thanks Jane! July 20, 2018 - alangehennig - When we purchased our coastal home Jane was knowledgeable and helped us find the perfect home! She was informative of the area, the agents we would be working with and we put our offer in the first day out looking! She’s top notch. July 20, 2018 - benjamin arnold3 - Jane is an amazing realtor! This was our first time selling a house and Jane walked us through each stage. She was always available to give us information on what to expect, how to increase the appeal of our home, and even provided several options when we had to get some repair work done. We found out that the original property assessment was wrong and Jane had a new assessor out within days so we could close on time! We sold our house the day it went on the market! July 19, 2018 - SCampbell51284 - I cannot say enough positive things about Jane. Her management of the sale of our house was above our expectations. She is extremely professional, honest, and all-around a great human being! Jane has always been open to helping us any way possible, even in situations with no financial benefit to herself - for example when we were looking for a temporary apartment. I can say with confidence that Jane Bash is one of THE BEST realtors in San Antonio! July 19, 2018 - suzannelskinner - Jane helped me sell my house in Terrill Hills in 2015. She was exceptional in her preparation of background of property sales in SA. My house was shown a lot in a very few days and sold without problems. She went beyond what I could have expected as I had health problems in the middle of the process. Could not have done it without her. She is a total professional and easy to work with. July 19, 2018 - simannering - Jane is very personable and knowledgeable. She can help you find your new house and guide you all the way through the process. She is a total professional. July 18, 2018 - devanbender - Jane Bash is a top notch realtor! We have used her expertise for multiple transactions due to her fabulous service & attention to detail! We adore her & are grateful to have Jane by our side for our major investments/homes! Thanks Jane! July 18, 2018 - momkimball - Jane is such a wonderfully sweet person to work with. She is reasonable and qualified to help sell homes. She helped us sell 3 homes and helped our son and daughter also. I appreciate her and her expertise. July 17, 2018 - Kathryn Facer - We would %100 recommend Jane to any of our family and friends! As first time home buyers, we had many questions and didn’t understand the details of the home buying process. Jane is a wonderful communicator and was able to answer our many questions quickly and clearly. The purchasing process went very smoothly and we felt completely confident with Jane. July 17, 2018 - Stephanie Perry - Jane was so patient with me as we sold my home. She listened to all of my concerns and questions and handled everything with such grace. She also helped with every step along the way when I built my new home. Always advocating for me and my family. July 17, 2018 - fury2111 - We used Jane to sell 2 houses of ours at different times. she is a great driver of sales and the process couldn't have gone more smoothly. We also asked her assistance in purchasing 2 of our San Antonio homes. I trust her implicitly and she has been awesome to work with! July 17, 2018 - stephanielperry2 - Jane was so patient with me as we sold my home. She listened to all of my concerns and questions and handled everything with such grace. She also helped with every step along the way when I built my new home. Always advocating for me and my family. July 16, 2018 - Stacy Lange - Jane has now helped me with 4 real estate transactions and she is hands down the best realtor to deal with. She calmly guided me thru every step of the process including the various bumps along the way. I cannot recommend her enough as both a buyers and sellers agent. If you want someone to absolutely excel at helping you buy and sell a home then you want Jane Bash! July 15, 2018 - Cara Rakowitz - Jane has sold two of our homes. Both homes sold very quickly due to her marketing and quick response to all. She is knowledgeable, experienced, and personable. Jane provides recommendations to make the house more appealing to buyers and researches the area to give the best market analysis. Would recommend to anyone and have! I fell in love with San Antonio serving in the Air Force. A proven, effective communicator and service oriented professional, my success rests on creatively negotiating strong contracts. Expect communication via texts, e-mail, phone and face to face. With nationally ranked, award winning service, I provide courtesy home staging, drone-aerial photography, virtual tours, television and other heavy media. I assure each transaction is a positive experience, whether buying or selling your property. I also offer my services with over a decade as a certified Global Relocation Specialist and can help with your home sale or purchase anywhere in the country. Call (210) 643-3201. I appreciate the opportunity to serve all of your real estate needs. Intl Presidents Elite Team, Platinum Top 50 Team, Top Producer, SA Business Journal Top Teams, with over 14 years of award winning service, leadership, and training. USAA & Cartus Certified, Graduate Realtor Institute (GRI), Council of Residential Specialists (CRS), and Certified Home Marketing Specialist (CHMS). Serving clients with their home listings, purchasing a home and new construction. Integrity, courtesy and fairness, with the heart of a teacher.